Shoptalk 2018 was bigger and better than ever before, with over 8,000 attendees and 300 speakers from leading brands and technology providers at the Venetian in Las Vegas this week. 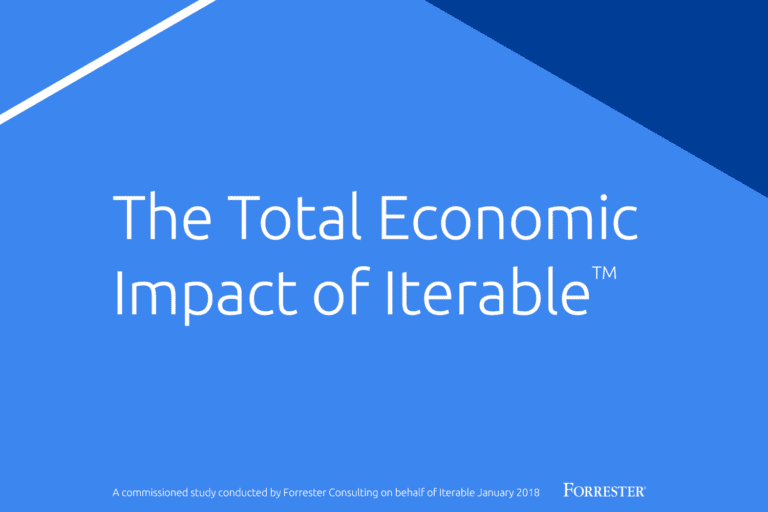 And now you have access to the ultimate recap: Iterable has summarized the world’s largest conference for retail and e-commerce innovation. “Mobile Experiences in the Customer Journey” with Mark Berinato, VP, Digital Experience at Panera Bread; Gihad Jawhar, VP, Digital Development at Lowe’s; and Manish Chandra, CEO at Poshmark. “Physical Retail Concepts From Digitally Native Brands” with Ben Fischman, Founder & CEO at M.Gemi; Ethan Song, Co-Founder & CEO at Frank and Oak; and Jen Rubio, Co-Founder & Chief Brand Officer at Away. “Leaders at Global Brands on the Future of E-Commerce” with Marc Rosen, EVP & President, Global E-Commerce, Levi Strauss & Co., and Charlie Cole, Chief E-Commerce Officer at Samsonite. We’re also giving you an inside look at the best of the expo hall with some fun snapshots of the exciting activities and cool swag that got everyone talking. Most importantly, we’ve even provided placeholder slides for you to drop in your own notes of the sessions you attended. 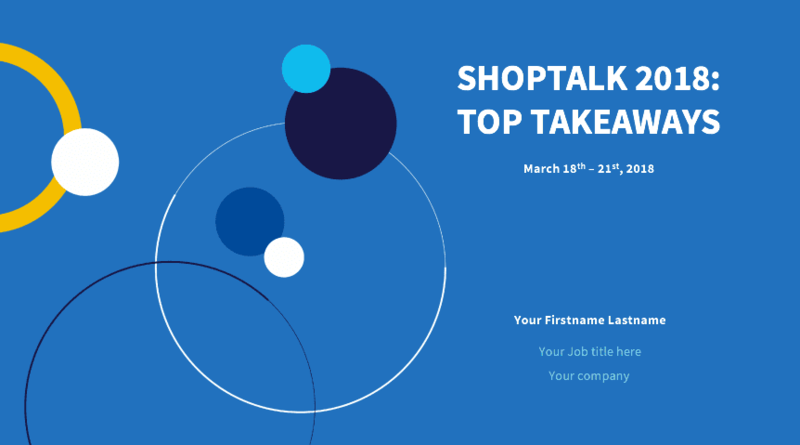 Click this link to view the Shoptalk presentation in Google Slides. You can easily make a copy, include your name and notes, and share it with your colleagues. We put in all the effort and we’re giving you all the credit! 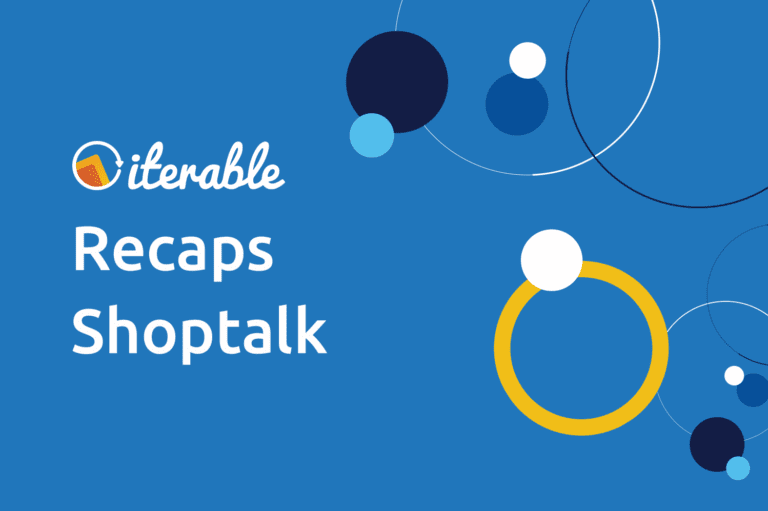 Download our Shoptalk presentation and customize it with your own notes. Want to Talk Shop After Shoptalk? We hope that you stopped by the Iterable booth to meet our team and win some awesome prizes. 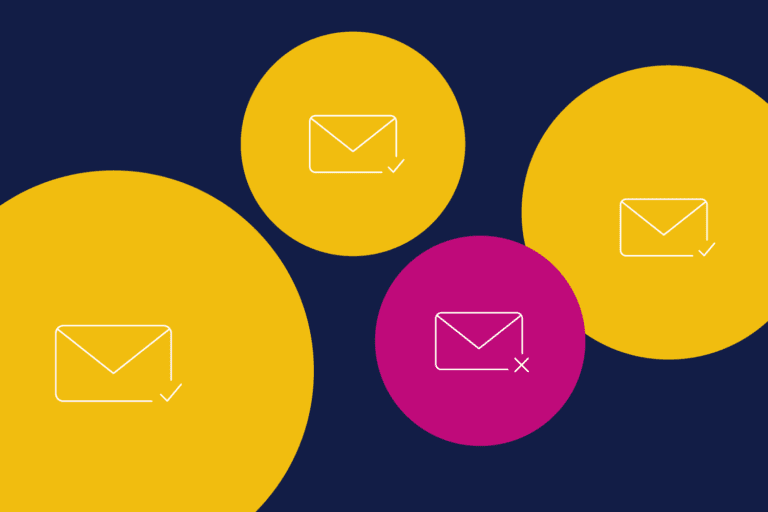 If you’d like to learn more about how Iterable is a retailer’s secret weapon to increasing omni-channel consumer engagement, then request a demo of our growth marketing platform today. What Could Your Company Do With $41 Million?